ATLANTA, USA UPS(NYSE: UPS) – Nearly half of avid U.S. online shoppers bought items from international retailers, demonstrating the need for retailers to offer more personalized services as a way to compete against lower prices, according to the sixth annual UPS Pulse of the Online Shopper™ study. The UPS study found that almost all avid U.S. online shoppers (97%), made purchases on marketplaces, up 12 points from 2016, and that 81 percent cite price as the most important factor when searching for and selecting products online. According to respondents who purchased from an international retailer (47%), 43 percent were driven by lower prices on U.S. marketplaces and 36 percent wanted unique products not found from U.S. retailers. Personalized experiences includes the physical store. Many online shoppers find stores important to touch and feel products (59%), solve immediate problems (54%), receive superior customer service (52%), and participate in rewards/loyalty programs (52%). Half of shoppers (50%) have used ship-to-store this year, of whom 44 percent made additional purchases in store, and 41 percent plan to use ship to store more often in the next year. The use of smartphones continues to be an increasingly important part of the shopping experience online and in physical stores. Eight in ten online shoppers use retailer apps, often preferring apps to websites because of faster speed and a better user experience. The convenience factor is key as “on the go” mobile shoppers seek efficiency at every turn. Mobile coupons (50%) and high-quality product images (50%) are two of the most important app features. According to eMarketer, global cross-border e-commerce is projected to grow at an average of 22 percent from 2015 to 2020 compared to 15 percent for U.S. e-commerce during the same time period. The top considerations that online shoppers make when purchasing from international retailers include clearly stating the total cost of the order including duties and fees (77%), stating all prices in the shopper’s native currency (76%), the retailer being reputable (74%), and reasonable speed of delivery (66%). Of the 47 percent of U.S. consumers who purchased from an international retailer on a U.S. online marketplace, the majority of these retailers are based in China (61%), the U.K. (23%), Canada (15%), and Japan (14%). UPS recently announced a joint venture with S.F. Holding, the parent company of China’s market-leading express delivery company SF Express. The two companies will develop shipping products designed to help Chinese companies gain greater access to the U.S. market. China is now the biggest e-commerce market in the world with approximately $900 billion USD in 2016 sales, accounting for nearly half of all digital retail sales worldwide according to eMarketer. Global commerce giant Alibaba Group will host its first U.S. summit, Gateway ’17, in Detroit on June 21. UPS Chairman and CEO David Abney will be a keynote speaker at the event highlighting the opportunity for businesses to expand their sales to consumers in China and other export markets. 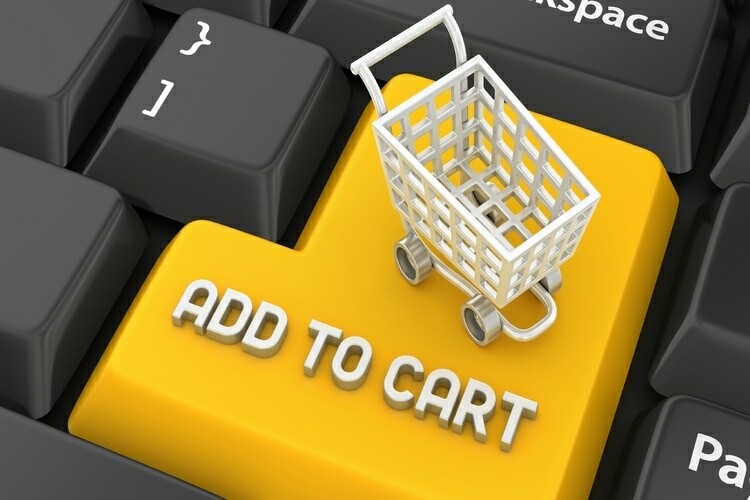 According to the study, avid online shoppers start their searches at marketplaces more than any other channel (38%). In the next year, 29 percent of online shoppers plan to research more frequently using marketplaces and 30 percent plan to purchase more on marketplaces. The number one reason online shoppers shop at a marketplace instead of going directly to a retailer is better prices (65%), followed by free and discounted shipping (55%), the total cost of the order including shipping costs and/or taxes (45%), and speed of delivery (44%). Retailer apps are also growing in adoption with eight in 10 consumers using a retailer smartphone app. App users prefer them to retailer websites due to faster speeds (51%) and better user experiences (35%).The number of shopping apps a consumer will use, however, is limited. Online shoppers prefer to limit the number of retailer apps to three to five on their smart phone to conserve memory on the device. Despite the overall growth of m-commerce, consumers are hesitant to use mobile in-store payment methods. While 59 percent of smartphone users research on their device, only 28 percent have used a smartphone to make an in-store purchase. What’s In Store for Stores? Providing personalized experiences at stores includes adapting with new technologies and offers. The average percentage of purchases made in physical stores by avid online shoppers decreased from 53 percent in 2014 to 48 percent in 2017. Comparatively, online sales increased from 47 percent in 2014 to 52 percent in 2017. New technologies including chatbots and virtual reality are ways retailers can enhance their consumer experience. While online shoppers prefer to talk with sales associates when shopping in stores, when online they prefer self-service options such as email (55%) and live chat (42%). They are also comfortable using chatbots to get product information (42%), new product updates (39%), and completing their order and returning products (39%). This also includes how shoppers are immersed in the store experience. Virtual reality is appealing to online shoppers interested in visualizing furniture and home décor (42%), seeing products brought to life through product demos (40%), and browsing through a store (39%).